Home / Freebies / Free Stuff Online / FREE Address Labels, Stickers, Magnet, or 2 Prints from Shutterfly! Woohoo! This is such an awesome Freebie that you can get through tomorrow, 1/18! 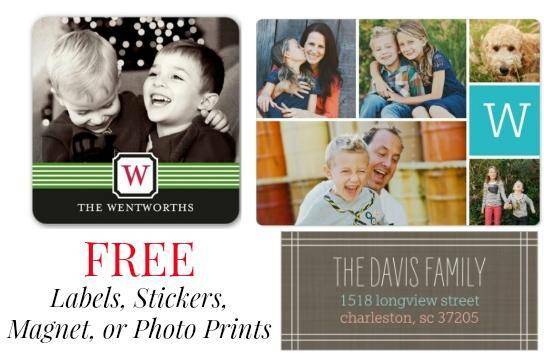 You can get a set of FREE Address Labels, Stickers, Magnet, or 2 Prints today only from Shutterfly with a coupon code! And check out all of the Shutterfly Coupon Codes that are available for you today. Just choose a set of address labels, one personalized magnet, 24 custom stickers, or two 8×10 photo prints and they will be FREE at checkout with the code MYGIFT! You will just have to pay shipping of $2.99!